We have two brand new collections that we know you're going to drool over! From adorable characters to pretty patterns, you'll be swooning over for these designs. From welcoming tiny bundles of joy to celebrating a little ones’ birthday, the Dovecraft Back to Basics Baby Steps papercraft collection will be perfect for your endearing crafts. 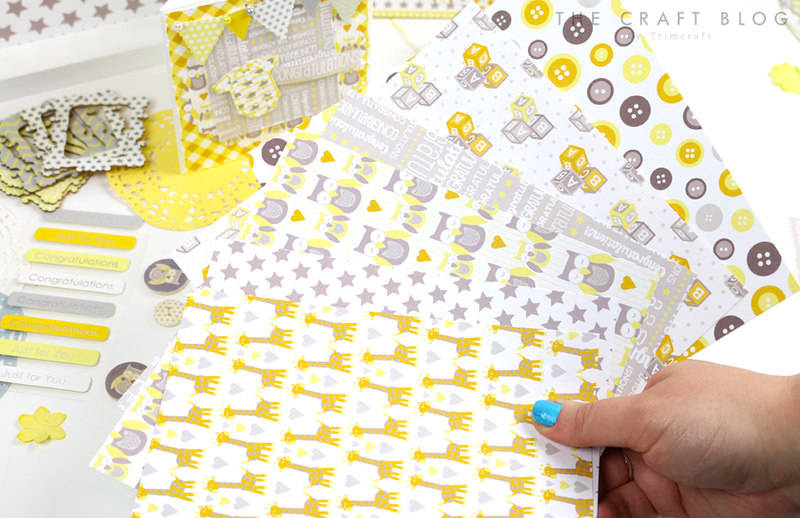 Peer inside the paper pack to find patterns of building blocks, celebratory sentiments, buttons and adorable illustrative animals in a gorgeous yellow and grey colour palette. To make each craft special, the collection also features adhesive pearls, sentiment toppers, bunting, bows, doilies, wooden buttons, paper blossoms and more. With this wonderful selection of goodies by your side, each craft will be sure to glow with excitement. What's amazing about this selection (if there wasn't already enough!) is that you can use this collection for baby boys and baby girls so you will be set for any newborn make! Don't look away yet, we also have the prettiest selection of goodies for you to set your eyes on! Indulge your crafts with pretty patterns and embellishments with Dovecraft’s Back to Basics Perfectly Pink papercraft collection. Illustrated with a flurry of butterflies and flowers, the pink and purple toned pages will be wonderful for a variety of occasions! This delightful collection also includes adhesive gems, garland flags, wooden frames, resin flowers, plastic buttons, accordion stickers and more. The beautifully designed papers paired with the eye-catching embellishments will enable you to make stunning projects, all year round! How great are these new papercraft collections? Which is your favourite? (if you can pick!) You will able to get your own selections later in June so keep your eyes peeled.